03/26/2018 3:00 PM GMT+1 - 04/06/2018 6:18 PM GMT+1 CLOSED! Scene Reference: Cactus Bill (Paul Rudd) and Duck (Justin Theroux) pull bullets from Akim's Heavy's (Michael Todd Behrens) leg. 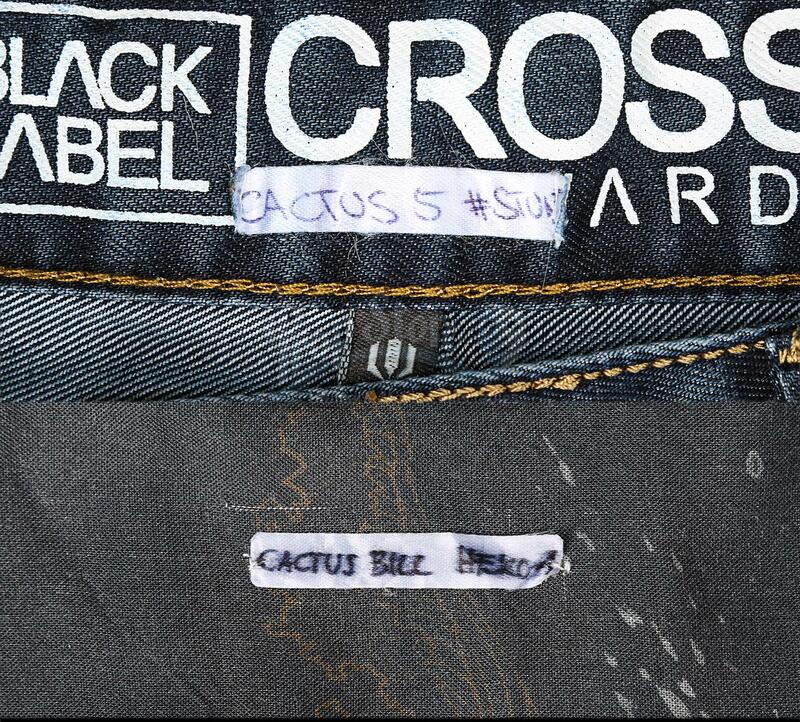 Tags & Markings: Handwritten label "Cactus Bill Hero 1"
Tags & Markings: Handwritten label "Cactus 5 # Stunt"
Additional Condition Notes: Distressed for the production including blood and 'surgical' stains on the top, mask and beanie. 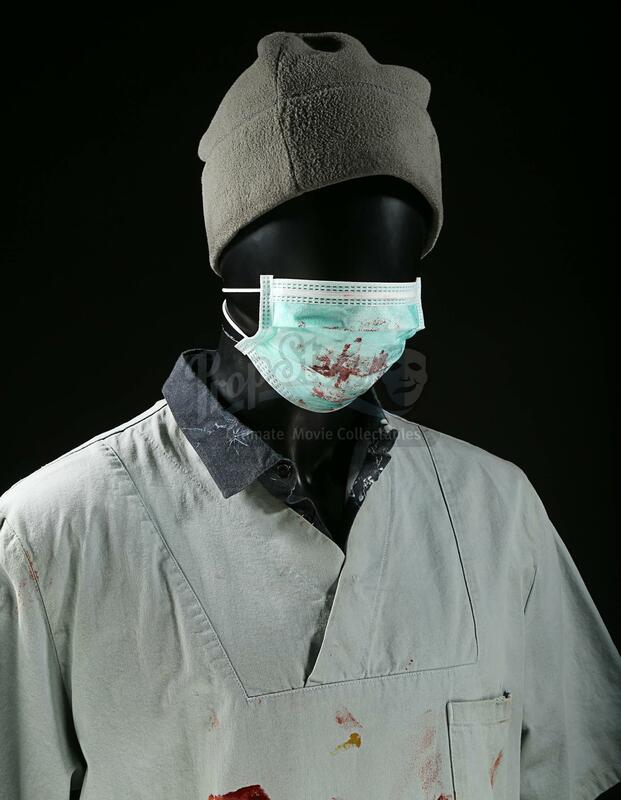 This is an original asset used in the production of Mute. The asset is made available through a partnership between Prop Store and Netflix Studios. This is not a replica, but rather an original item from the making of the film. Each lot is open for bidding for 12 days. If any bid is placed within the final minute of the Auction Period, the Auction Period will automatically be extended by 1 additional minute. Please note that the timer may reflect that the remaining Auction Period is “0” but the Auction Period has not concluded because it has been extended by a bid made within the last minute. It is the bidder’s responsibility to refresh the page to determine whether the Auction Period has been extended. In any event, the Auction Period for any lot shall not be deemed completed until it states "Closed." Invoices will be sent on Monday 9th April. Bidder shall pay the Purchase Price in full within 7 calendar days of being invoiced. Payment plans require an immediate 20% non-refundable down payment. The balance can be paid off in equal installments over the next three months. All funds are non-refundable. No cancellations, transfers, or exchanges will be accepted. Your piece will be safely set aside for you and will ship once the balance is settled in full. All lots are available for viewing by appointment only while the auction catalogue is live. Please email us to schedule a viewing appointment. Lots are located in London, England, and can be shipped worldwide. The Buyer is solely responsible for all shipping, handling, and delivery costs. Prop Store can help you arrange packing and shipping through FedEx for smaller items or Precision Cargo for larger items, or you can use your own licensed carrier, approved by Prop Store. For many Lots, automatic shipping quotes are available through the button at the top of the listing. For oversized Lots, click here to request a freight quote from Prop Store staff. Prop Store staff can also assist with quotes for shipping multiple lots together; contact us for further information. Customers are strongly advised to request a shipping quote prior to bidding.